HNO3 is the chemical formulation of Nitric Acid, which is also known by its ancient names of Aqua Fortis and Spirit of Nitre. These Latin names were given to HNO3 in the Middle Ages when alchemists first discovered the remarkable properties of Nitric Acid. HNO3 was an important substance for early alchmeists who discovered that it could dissolve metals including silver. HNO3 is believed to have been first synthesised by Jabir ibn Hayyan (also known as 'Geber') in about 800 AD. As well as being a great alchemist, Jabir was a philosopher, astronomer, engineer and geologist. He is also credited with the discovery of Sulphuric Acid and his many practical experiments in these early times paved the way for modern chemistry. HNO3 is now one of the most widely used mineral acids and has a range of applications both in industry and in the laboratory. The fertilizer industry uses HNO3 on a huge scale and it is also used in the production of explosives. Further information on the industrial uses of HNO3 can be found on the page entitled HNO3 Uses. The laboratory applications of HNO3 include Flame Atomic Absorption Spectrometry as HNO3 is capable of dissolving metals into solution for analysis. 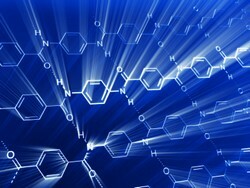 HNO3 is also used in ICPMS (Inductively Coupled Plasma Mass Spectrometry) for laboratory analysis. Glassware is routinely cleaned and etched with the use of HNO3 and it can also be used to detect the presence of Chloride in the production of Soda Ash. As a highly Corrosive and Toxic material, it is essential that its potential hazards are clearly understood before handling or working with HNO3. Full use of Personal Protective Equipment (PPE) is essential as HNO3 can cause serious or even permanent damage to eyes and skin. It can damage the soft tissue of nasal passages, airways, respiratory tract, digestive tract and lungs. PPE should include approved safety goggles or glasses, or full face mask protection when handling large amounts of the material, protective clothing, nitrile gloves and approved safety shoes or boots. When handling Fuming Nitric Acid or Nitric Acid in high concentrations, it is essential that the material is handled within the confines of a fume cubpoard as the fumes released are particularly damaging to soft tissue. If fume extraction is not available, breathing apparatus must be worn. Even in dilute concentrations, gloves and eyes protection should always be worn. Further details of Nitric Acid Safety and Nitric Acid Hazards can be found on the relevant pages of this website. Nitric Acid is a stable material but will react violently with mosty metals. It is a strong oxidizer and must be kept well away from organic materials. HNO3 is light sensitive and can corrode steel. Due to its Corrosive and Toxic classification, HNO3 is governed by strict legislation concerning its manufacture, packaging, labelling and transport and further details of these can be found on the various pages of this website. Large spillages of HNO3 must be dammed, neutralised with sand, earth or other inert material and then correctly disposed of. The Emergency Services and the Environment Agency (or other authorised organisation) must be informed in the event of a large spillage as Nitric Acid must be prevented from entering waterways. It can effect the pH of water and thereby cause damage to aquatic organisms. Small amounts of HNO3 can be safely flushed down the sink with large quantities of water.